Klipsch Heritage Theater Bar, sound bars with wireless subwoofers, multi-room streaming speakers, and more - Klipsch on-wall audio solutions deliver incredible performance that sounds as good as the look. Klipsch soundbars mimic the thin and attractive design of the newest flat panel displays, so they’ll look they were designed to go together. Wireless subwoofers complete the audio package without adding unsightly wires and with the newest technology you can stream music via Bluetooth, increasing the value of your entire system. 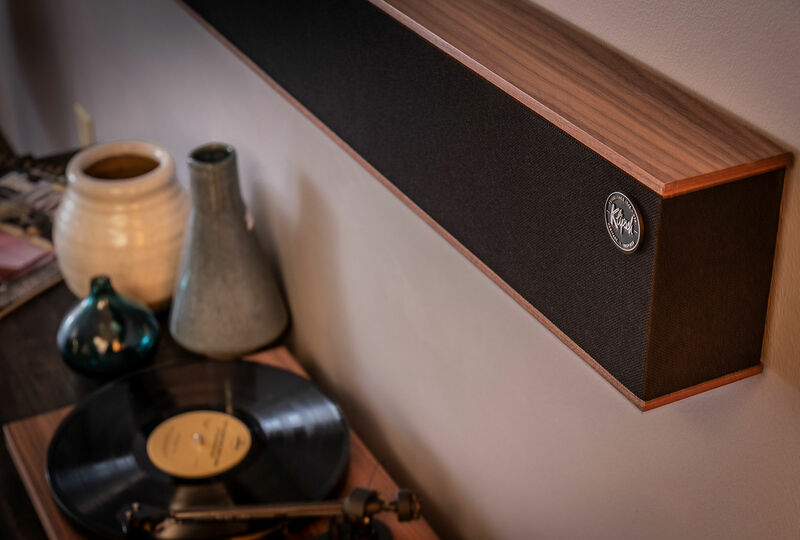 Traditionally, multi-room audio is done with in-wall or in ceiling speakers, but with the Klipsch RW-1, the same thing can be done with an on-wall speaker and Klipsch Stream. Mounting the speaker to the wall in every room where you want to add music cuts down on installation time and makes control easy for the end user, as they can do it all with their own smartphone.